We’re back to highlight yet another plus size woman in business in our Curvy Boss series! Meet Beckah Sheeler a San Diego based website developer and software engineer! We sat down to chat about what your work is like, along with some Shopify tips!! Welcome to the newest Curvy Bosses spotlight! Today, we’re going to be talking about women who code, specifically, Shopify Developer Beckah Sheeler. I met Beckah at a networking event for women in tech, and we immediately hit it off, effortlessly talking about fashion and debugging code in the same breath. Tech has this sort of “uniform,” wherein people get side eye for wearing anything other than jeans and a sweatshirt. Women can love to code, and care about fashion and aesthetics, dang it! 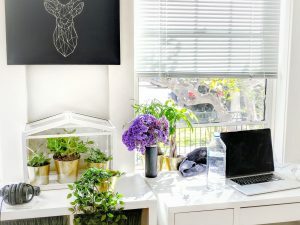 I’ll save you from my rant, but if you’re looking for tips on being a self-employed developer, or if you’re thinking of opening a business using Shopify, you’ll definitely want to take notes on this interview! BH: What first got you interested in development? BS: My first taste was the crazy MySpace days where you could add all kinds of awful glitter text to your profile. Then, as I started getting older my tastes got a little more refined. ? I’ve been a web developer for almost 5 years. Originally, I started off in graphic design, but loved STEM. Web development allows me to exercise my love for coding while allowing me to create beautiful, functional things on the internet. I specific develop for Shopify because I get to make things for other entrepreneurs and the community is A+. BH: Omg, I spent countless hours editing my code on MySpace. What advice do you have for women interested in development? BS: There are going to be moments, even large stretches of time where you feel like you don’t know wtf is going on. This has ABSOLUTELY nothing to do with your intelligence or ability to get it and is a natural stage that every damn person goes through. BH: Gurrrl, dealing with “brogrammers” is HARD. Love this advice. So, of all the platforms/languages out there, why did you decide to focus on Shopify? I saw a huge skills gap in the market. It’s a rare combination to be good at design and ALSO have a strong understanding of Shopify’s backend technology. Most entrepreneurs need someone who can wear many hats, and I do! I love the people I work with. I work with other entrepreneurs who are often getting stuff done by themselves and powering through, so we have a similar way of thinking and communicating. I love being able to quantify my impact because I’m a numbers kind of lady. Seeing my clients get a sale is sooo motivating for me. I often check the admin dashboard on the weekends in my free time just to see what the trends are because I’m a little addicted to numbers. BH: Yesss, data nerds unite! I love poking around analytics and reporting to see what’s happening. What do you love most about working with women entrepreneurs? BS: From an idealistic standpoint, I’m a big believer that economic power is one of the most influential powers to have. My utopia is women building empires and ruling the world. I think that women controlling a large portion of the economy is a fantastic way to overturn our current patriarchal society. From a practical perspective, I’ve found that female entrepreneurs I work with will just tell me when they don’t know something. And, they also don’t mind when I get up to speed about their business and objectives. It saves a ton of time and money communicating goals and executing to meet those goals. BH: That’s so real. Entrepreneurs get stuff DONE. On your website, there’s the line, “The right questions are asked when there are no such thing as ‘stupid’ questions.” Was there a specific occurrence that made you share this front and center on your website? BS: Oh man. ?? Before I get into it, my ultimate goal is to recreate an environment where my clients feel comfortable asking even the littlest question. I want my clients to always know what’s going on because it’s my job and what I’m here for. So back to your question, there are two occurrences; one negative, one positive. First, the negative. I’ve been freelancing for 1.5 years, but before that, I worked in engineering which is dominated by dumb, macho attitudes. It would lead people to feel like they were intrusive/annoying for asking questions. Then it would backfire and lead to a ton of wasted time on ultra long, over-complicated meetings with novel-long, email exchange follow-ups. Second, the positive. I was contracted by a fellow femgineer to design and build out a web applications for her startup. We got to the point where we could basically read each other’s thoughts because of how many times we asked even seemingly-goofy, little questions when we weren’t clear on something. It saved on a ton of time and helped up get out her MVP in 4 months. I basically want to recreate the 2nd scenario with my clients. Why wouldn’t we want to be able to read each other’s minds on projects? ? BH: So, you’re a self-employed consultant. Can you tell us about making the jump to self-employment. What was hard/exciting about it? BS: It was super scary part was finances. I would read a freakin million articles something along the lines of “When to quit your job and start freelancing!”. My personal advice is to find at least 1-2 clients beforehand and save like your life depends on it (6-8 months minimum). I also quit my job a few months before I got my 2016 tax return which helped. The juicy stuff is I could work at weird hours if I needed to, I could work while getting my caffeine fix at coffee shops, and I could see my work go out into the world and actually make a difference for my client. BS: I have a quiet workspace at home, but I’m a coffee shop kinda girl. Also, 90% of it is personal accountability. I use Self-Control to block Facebook on my computer and Bashful to block me from futzing around on my phone during the day. I also use Toggl to track all my time even personal-brand development time. BS: Ikea is a God among stores, and I also have to give a shoutout to my client, Curvy Girl Lingerie. BH: How does a typical client project work for you? How do you communicate/work with your clients to make the project finish on time? BS: Sure! First and foremost, my hourly rate starts at approximately $50/hr, but I typically bill per-project. I also put an enormous value on communication. By figuring out those highly trackable goals, I can put a time estimate on how long the project will take. By multiplying the estimated time by my $50 hourly rate, I get the project total (example: 7 hour project * $50/hourly rate = $350 project total). I ask for half of the project total before I start and the other half upon completion. Turn-around time is usually less than 2 weeks depending on the task. Slack channel for all my clients where they can message me real time if they need. Note to TCF Readers: If you are considering working with a consultant/freelancer/etc, they better be able to break down EXACTLY what their process looks like, like Beckah just did. BH: What do you want entrepreneurs, starting their journey with Shopify, to know about using the platform? Ecommerce is about iterating to find product-market fit. Because making changes is super easy, quick store launches means we can iterate sooner, and make money faster. Shopify is completely agnostic to presentation. Literally, if you can dream it, we can make it. Additionally, all Shopify-approved themes go through extremely rigorous quality and design tests by Shopify’s inhouse team to be published in the theme store which includes security and mobile-readiness. All themes in the Shopify Theme Store have been rigorously tested on both mobile and desktop screen sizes. The Shopify app allows store you to check-in on your store and view analytics, manage inventory, and receive notifications from your phone. There are over 1,800 apps available in the Shopify App Store. Apps make it easy for you to customize your store design and extend its functionality, and helps ease the pain of migrating most kinds of data. BH: Anything else you’d like to add? If you’re looking to launch your new store with Shopify, as a Shopify Partner, I can give you a completely free Shopify store while you’re preparing to launch. You don’t pay Shopify anything until you’re ready to sell (there is no time limit). If you’re interested, email me at [email protected] with the subject “Free Shopify Store”. I love that Beckah uses her technical prowess to help other women entrepreneurs make their dreams happen. Tech should be accessible, and whomever you hire should welcome all of your questions – and never EVER make you feel dumb. You can drop Beckah a line here, if you’re interested in services. 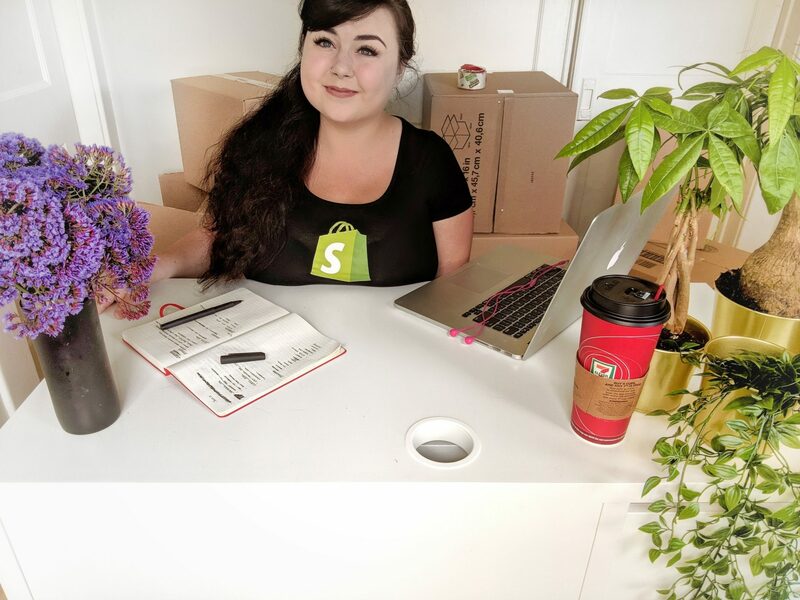 Are you a Curvy Boss who uses Shopify? What do you like/hate about the platform? Tell us below in the comments! Where Tech Meets Beauty: Urban Beauty Network Launching This Month!